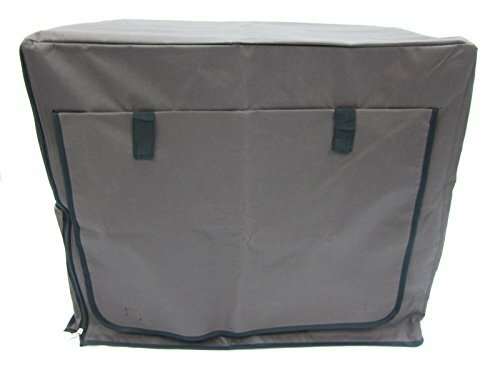 Size: -- Choose Size -- 24" 30" 36" 42" 48"
This offer is for a high quality cover suitable for our range of Easipet dog cages. Help keep your pets warm and dry during the cold wet windy season, or provide a dark quiet environment to help your pet settle at night. 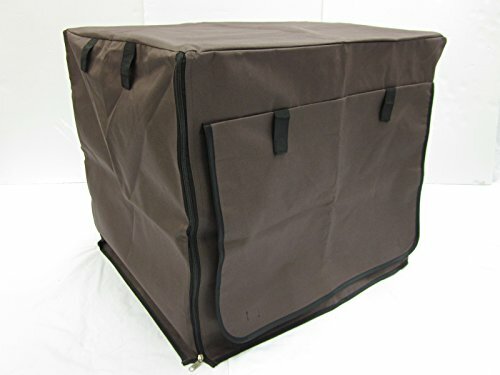 • Tailored Fit • Zippered front • Mesh windows for ventilation • Velcro Tabs allowing open or closed • Waterproof • Chocolate Brown Cage not included! Colour: Chocolate Brown. 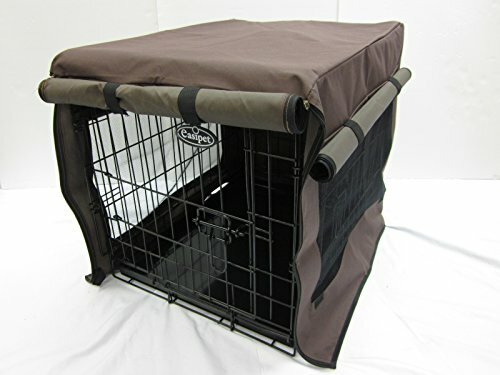 Material: 600D polyester with PU coating Sizes: Suitable for cage sizes 24" Cage 24" long x 18" wide x 20" high 60cm long x 46cm wide x 51cm high 30" Cage 30" long x 21" wide x 24" high 76cm long x 53cm wide x 60cm high 36" Cage 36" long x 24" wide x 26" high 91cm long x 60cm wide x 66cm high 42" Cage 42" long x 28" wide x 31" high 106cm long x 71cm wide x 77cm high 48" Cage 48" long x 30" wide x 33" high 121cm long x 76cm wide x 82cm high All dimensions are approximate and taken at the maximum points of the item, unless otherwise stated. 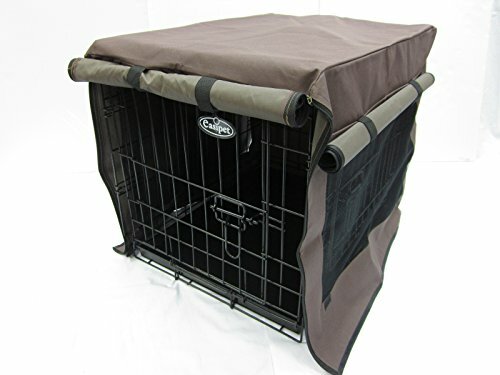 Do not leave your pet unattended for long periods of time.